Postcard NL-2458110 from the Netherlands, sent on April 22, 2014, has arrived within 3 days. 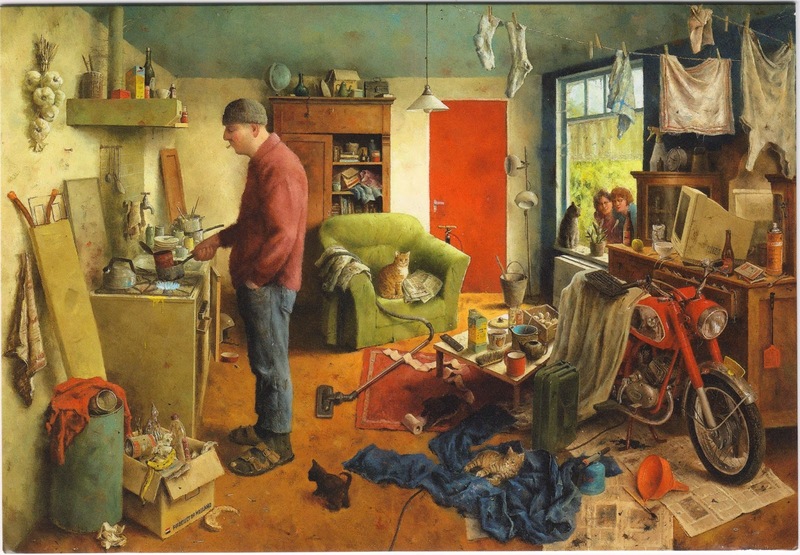 It shows a 2006 oil painting on panel "A Man's World" (Mannenhuishouding) by Dutch artist Marius van Dokkum. Born in 1957 in Andijk, he studied at the Christian Academy for Expressive Art in Kampen, majoring in Illustration. He moved to Apeldoorn after the academy, working as art painter, illustrator and designer. To see more examples of his work, visit his web site or follow him on Pinterest.